Mini Appetizer is an art installation exhibited in a public space within New York’s Financial District in order to raise hunger awareness and inspire social good. 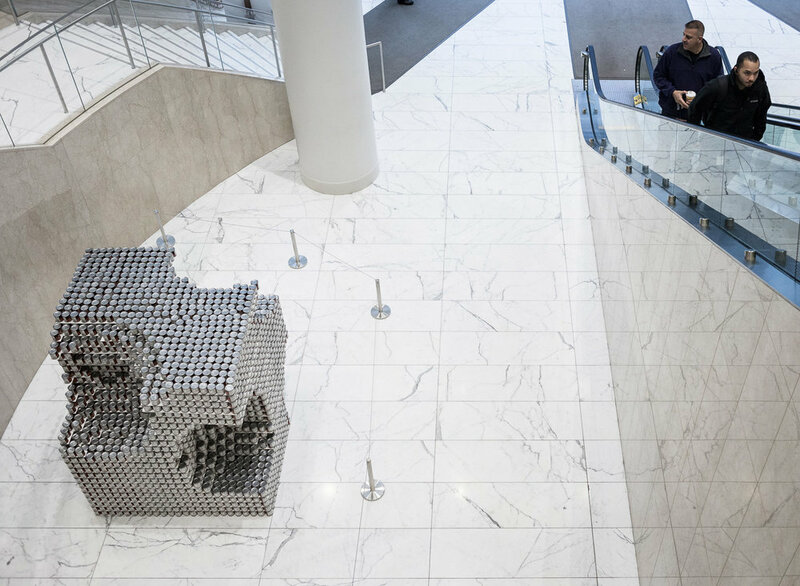 The piece is reminiscent of the familiar ½” cheese cube magnified 200 times and made out of 8,377 unopened cans of food, illustrating how much even the smallest amount of food can mean to the 1 in 5 New Yorkers that are hungry each day. All cans are stacked in only one night, dismantled at the end of the exhibition and donated to soup kitchens and food pantries across New York City to help feed families in need during the Thanksgiving Season.